Thank you for your interest in One by One Custom Rods. As our name suggests, we build them one at a time to your exact specifications. No two rods are exactly alike. We pride ourselves in taking the time to understand the customer's needs and deliver a product that meets them. 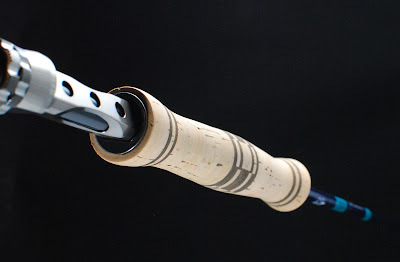 Your custom fishing rod will be unlike any factory produced commercial rod and will catch the eye of any discriminating angler. There is no order form or catalog to choose from. 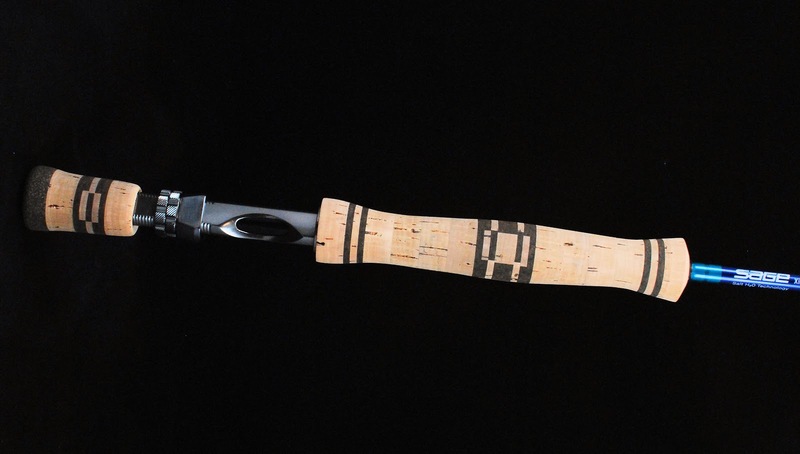 When you talk to us you are talking to the guys who will be crafting your fishing rod. You will take pride in owning a One by One Custom Rod but most important you will fish better with it too. Sage 8 weight Xi3 blank. 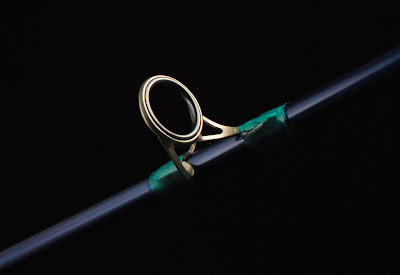 For the guides we selected American Tackles Solid Titanium Titan Guides. We set it up with a nice large 20mm stripper guide with a 16mm tamer guide right behing it to aid in shooting line. The running guides are the Titan single foot nanolite ceramics all the way to the tip. These guides are strong, lightweight, corrosion proof and provide unparalleled casting and fish fighting due to the extremely slick and quiet inserts.For the reel seat we went with American Tackles Triangle window seat for visual appeal and great performance. The seat is beautifully machined aluminum with double locking nuts. For the handle and fighting but we decided to use Flor grade cork and accent it with burnt burl cork in a chess board pattern and thin sliced rings. The result is one of a kind! The wraps were kept simple and done in a Blue Lagoon shade trimmed in Aquamarine metallic. It screams take me to the salt water! Thank you Stan for your genrous bid to CFF! We hope you enjoy the rod!